Discussion Does anybody have offset specs for Hogan Ft Worth 15 irons? Does anybody have offset specs for Hogan Ft Worth 15 irons? Hi does anybody have offset specs/numbers for the Hogan Ft. Worth 15 irons? I have emailed their Customer Service and got no reply. 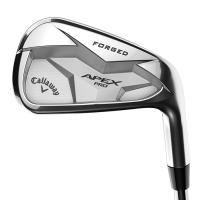 I want to compare them (specs wise) to my T-MB's as I am thinking about ordering a combo set of the new hi irons and the 15 blades. Unfortunately I live about 2 hours from the nearest place I could actually see a set so this will be done blind.